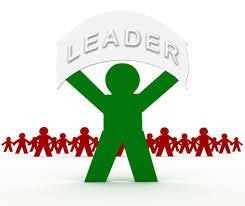 How do you continue to develop your leadership skills on a daily basis? How do you begin to get others to recognize you as a leader? Ritika Trikha from CareerBliss recommends seven daily practices that can help you grow as a leader. 1. Foster a reputation for being helpful and resourceful. 4. Get on the radar by networking. 5. Lead collaboratively, not cutthroat. 6. Gain your colleagues' trust. 7. Encourage others through positivity.